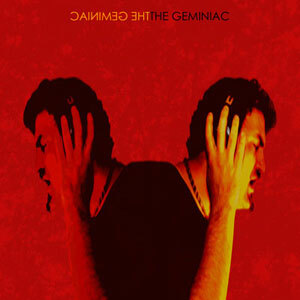 The Geminiac is the solo album project of producer and singer/songwriter Deron Reynolds. Check in here for news and album release information. THE GEMINIAC HAS BEEN RELEASED!! 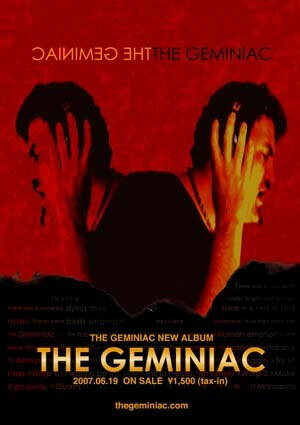 The first solo album by producer/singer/songwriter Deron Reynolds. Deron has worked with some of the biggest pop stars in Japan, and has published credits in albums by pop stars Mai Kuraki, Rina Aiuchi, Aika Ohno and Shizukusa Yumi. 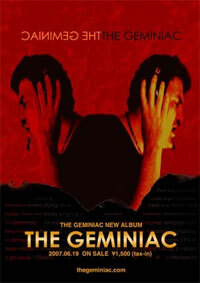 "The Geminiac" is his first solo-album, and is a compilation of songs written over his professional career. The music is full of emotional swings, from dark and heavy to light and fulfilling. Come into his world, and experience first hand the roller coaster of emotion that is "The Geminiac." Cool circle sticker to put on your lunch box ! 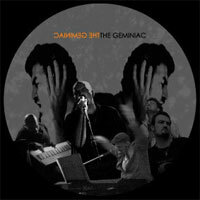 This is a CDR with a choice selection of songs from my first DEMO CDs handed out at live shows of The Geminiac. Of course, those who were not in Japan at the time never got a chance to get this CD, therefore I've decided to release a limited run of about 100 copies on the internet before the album is released. 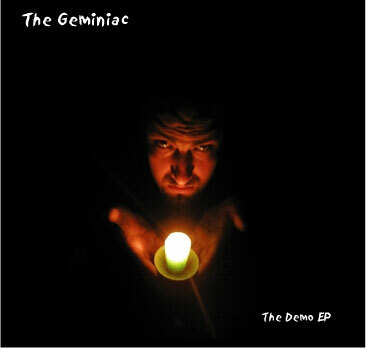 There are four DEMO versions of songs from the album (it will have 12 songs total, but I stress these are demo versions, not the final versions). Copyright (c) 2007 Blue Orb Productions. All Rights Reserved.